Moisture, microorganisms, air/vapor and dirt found in diesel fuel, left untreated, can result in costly fuel system failure. The best way to prevent these contaminants from entering your fuel system is by preventive maintenance—installing a quality fuel filter. The FASS Titanium Signature Series utilizes a 144-micron particulate filter along with a two micron absolute Extreme Water Separator that cleans these contaminants from your fuel before they can damage your fuel system. The FASS Signature Series filters also will increase mileage between filter change intervals and reduce maintenance cost along with better filtration than stock. The FASS System will continuously polish the diesel fuel in your fuel tank anytime the truck is running, resulting in the cleanest possible diesel fuel for your engine. 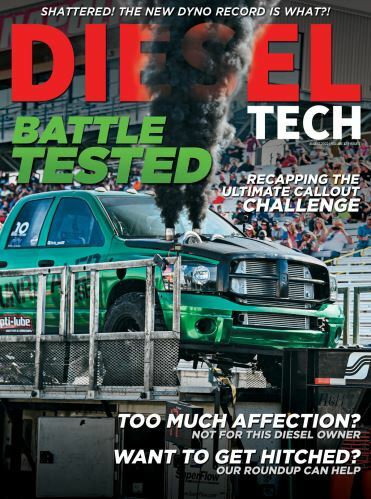 A diesel needs two elements in order to make horsepower and torque—clean air and clean fuel. The high output pump on the FASS System will ensure adequate fuel flow, never starving your diesel engine, while keeping fuel-cooled components cool. Its filtration process allows the FASS to separate air that would normally enter your fuel injection system. With a FASS System, your engine will be receiving virtually pure fuel with increased lubricity to the engine for smoother idle, increased throttle response, horsepower and torque. By supplying the injection system with positive fuel pressure, you will get ideal engine performance and efficiency. Naturally, fuel mileage will vary from driver to driver depending on driving characteristics, driving conditions, etc. Although the FASS Signature Filters are beneficial to any type diesel pickup, we will walk you through the installation process of this particular fuel system for a 2016-2018 Nissan Titan XD with the 5.0L Cummins (FASS TS-N16-125G). Here are the basic steps to install the system.